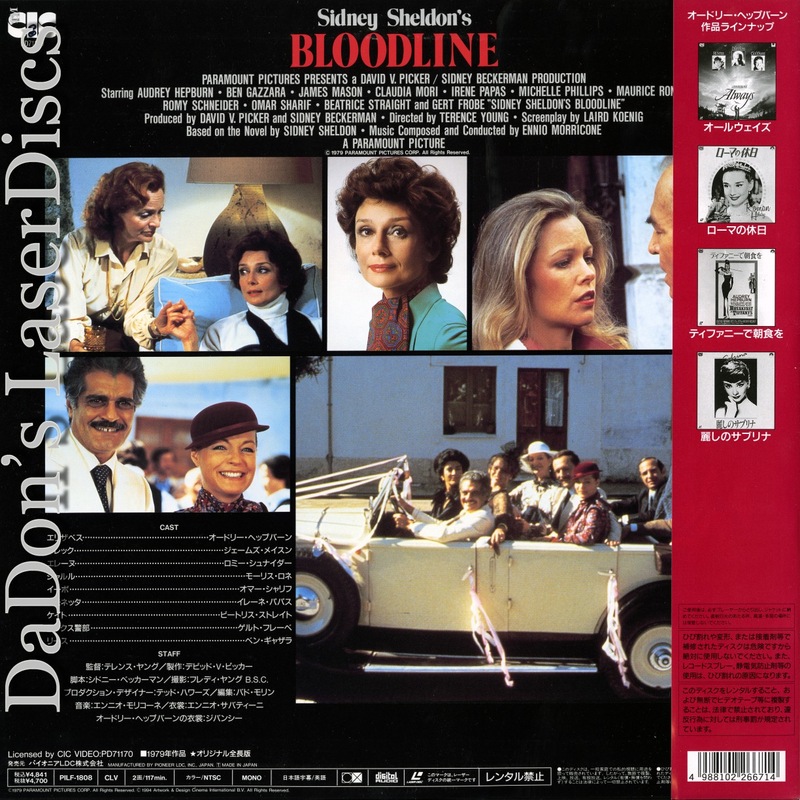 Bloodline 1979 - 117 min. - Color Genre: Thriller Rated R Country: Japan LaserDisc Movie Storyline: Hepburn finds her life endangered after inheriting a pharmaceutical company. Based on Sidney Sheldon's novel. 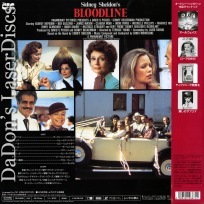 LaserDisc Movie Review: Bloodline, a thriller based on a mystery novel by Sidney Sheldon and directed by Terence Young, is the story of Elizabeth Roffe (Audrey Hepburn), who inherits a huge pharmaceutical company and then discovers that some of her family members may be plotting her death in order to gain control of the company. Despite an all-star cast including the usually excellent James Mason, Irene Papas, Ben Gazzara, the lovely Romy Schneider and Omar Sharif and wonderful locations, this thriller just doesn't generate much suspense despite numerous likely suspects and plot twists. Director Young gets only an average performance from Audrey Hepburn and manages to do little with his distinguished cast. The film while not particularly suspenseful is aided by the lovely color photography of Freddie Young and a lively, original score by Ennio Morricone. ~ Linda Rasmussen, Rovi Thanks for Visiting DaDon's Rare LaserDiscs ! Reviews, Articles, Newsletter and Information for Movies on LaserDisc LD Laser Disc, LazerDisc.